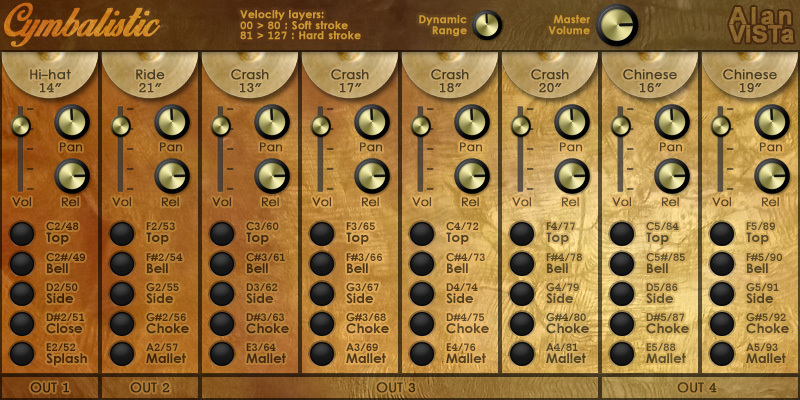 Cymbalistic is a sampled cymbals set. It contains 68 stereo 24 bit samples from the University of Iowa Electronic Music Studios public domain library. Volume and Pan for each cymbal.